Spring is a great time to plan for a new Lawn Sprinkler System. Let CMG give you a free estimate. 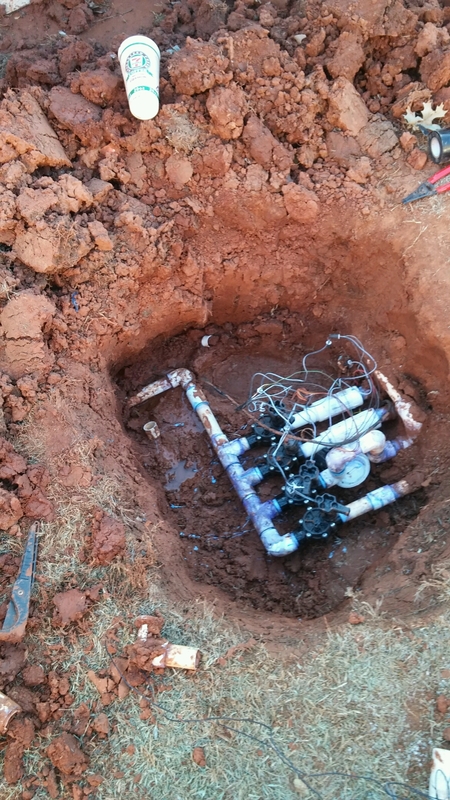 We have installed sprinkler systems since 1993 servicing Central Oklahoma. This is a great place for a French Drain! Central Oklahoma thunder storms can cause damage! Every time it rains, Do you have water standing in the wrong place? Does Stormwater runoff leave water standing on your driveway, sidewalk, backyard, flowerbed, or one of many low spots in your yard? CMG can help! CMG can quickly diagnose your drainage problems and design a solution through the use of one or several kinds or drains in combination. Get rid of standing water! 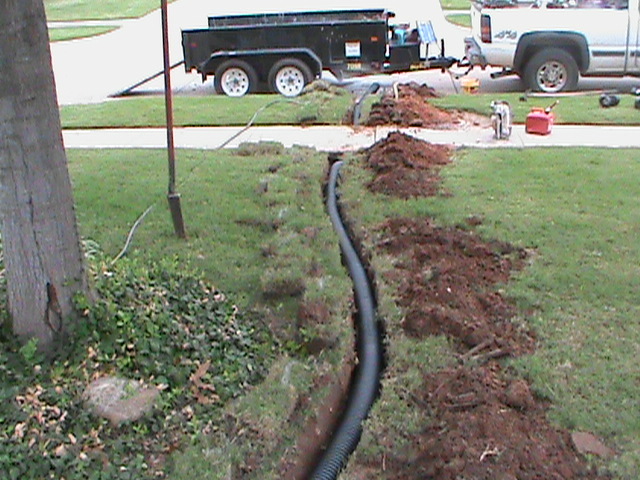 CMG can help with the Installation of a: French Drain, Surface Drain, Channel Drain, Basement Drain, Trench Drain, or Sump Pump. 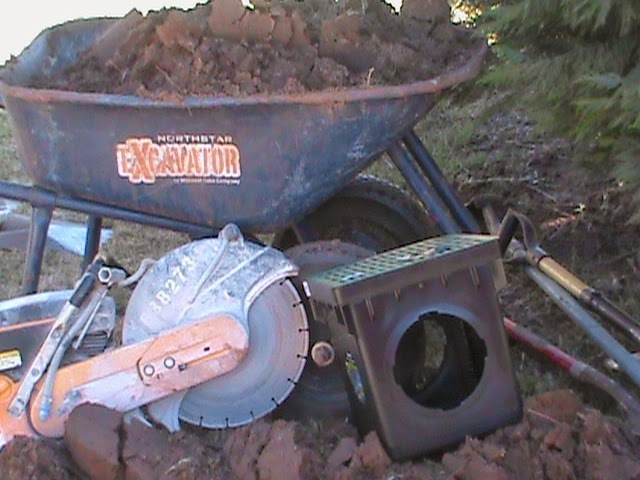 One or all of these types of drains can be used in combination to meet a variety of needs. We also specialize in: Lawn Sprinkler Installation and Sprinkler Repair. Servicing: Norman, Oklahoma City, Moore, Edmond, Midwest City, Del City, Purcell, Blanchard, Mustang, Yukon. We now are accepting credit cards.